Please visit one of our six convenient locations. 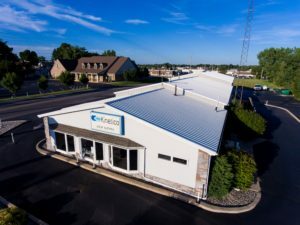 Areas serviced from our Warsaw location: Columbia City, Syracuse, North Webster, Lake Wawasee, Chapman Lake, Barbee Lake, Plymouth, Culver, Rochester, Wabash, North Manchester, Maxinkuckee, Churubusco, South Whitley, Kimmel, Wawasee, Mentone, Macy, and all other cities located in Kosciusko County, Marshall County, Fulton County, Wabash County, Whitley County, and Noble County. Areas serviced from our Grabill location: Fort Wayne, Huntertown, Aboite, Dupont, New Haven, Garrett, Auburn, Leo, Cedarville, Harlan, Kendallville, Sylvan Lake, Wolcottville, Woodburn, Zanesville, Avilla, Hoagland, Monroeville, Spencerville, Saint Joe, and all other cities within Allen County, DeKalb County, Noble Couty, and Whitley County. Areas serviced from our Huntington location: Huntington, Andrews, Wabash, Warren, Bluffton, Decatur, Uniondale, Ossian, Mt. Etna, Poneto, Berne, Monroe, Bryant, Portland, Pennville, and all other cities located within Huntington County, Wabash County, Wells County, Adams County, and Jay County. Areas serviced from our Kokomo location: Kokomo, Marion, Peru, Russiaville, Tipton, Bunker Hill, Gas City, Sweetster, Amboy, Converse, Jonesboro, Sharpsville, and all cities located within Howard County, Miami County, Grant County, Blackford County, and Tipton County. 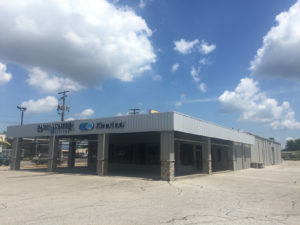 Areas serviced from our Lafayette location: Lafayette, West Lafayette, Mulberry, Battle Ground, Frankfort, Colfax, Clarks Hill, Attica, Shadeland, Dayton, Flora, Camden, Kirklan, and all cities located within Tippecanoe County, Warren County, Clinton County, Benton County, and Carroll County. Areas serviced from our Logansport location: Logansport, Monticello, Yeoman, Lake Freeman, Lake Shafer, Flora, Onward, Walton, Peru, Fulton, Star City, Winimac, Monterey, Francesvill, Medaryville, and all cities located within Cass County, White County, Pulaski County, Carroll County, Miami County, and Fulton County.